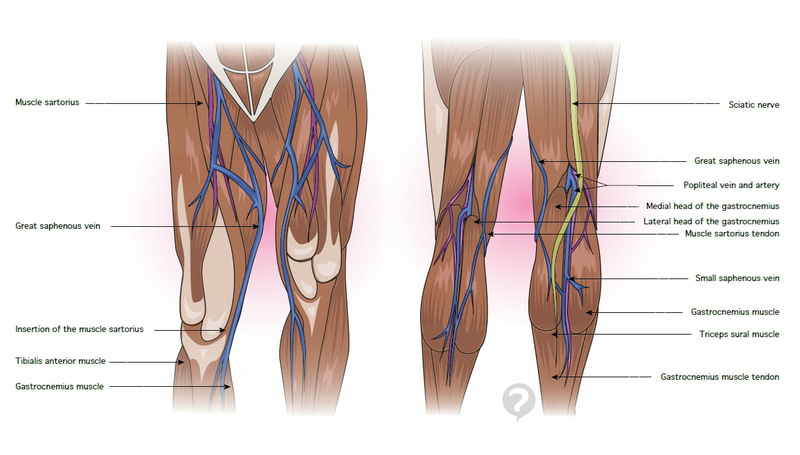 The sartorius muscle is located in the anterior wall of the thigh. 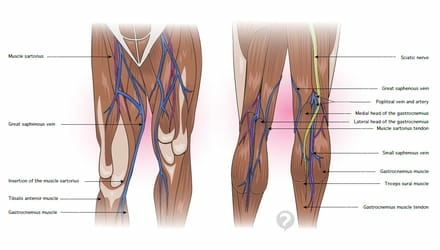 This muscle is the longest in the human body and has an elongated shape resembling an S. The sartorius muscle starts in the hip bone and runs through the thigh where it attaches to the tibia. The femoral artery and femoral muscle nerve pass through the sartorius muscle. It enables the bending and outward rotation of the hip, and rotating the knee inward. The sartorius muscle makes it possible for us to sit cross-legged. Original article published by Jean-François Pillou. Translated by christelle.b. Latest update on August 20, 2014 at 05:40 AM by christelle.b. This document, titled "Sartorius muscle," is available under the Creative Commons license. Any copy, reuse, or modification of the content should be sufficiently credited to CCM Health (health.ccm.net).